I would like to donate military materials to R. Riveter. We are happy to take donations of any solid color military material that is in good condition! We would also love to know the story behind the materials if you would be willing to share. What makes each of our Limited Edition bags so unique is the material it was made from. Attached to this article is a Donation Worksheet that can be filled out and shipped with materials being donated. If you have specific questions regarding your donation, please contact us here. We thank you for your donation. Thank you for allowing your cherished memories become an American Handmade bag or accessory! I have my husband's Army overcoat from the 1971-1973 that has never been worn. Would you like to have it? If so, please send me address to send. Does R. Riveter offer a warranty on my new bag? 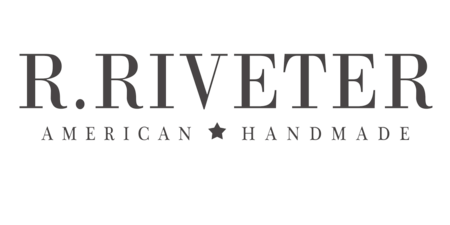 Can I buy R. Riveter handbags in a store?